Yesterday as I was glancing at my electronic version of Variety, I came across this clever little ad from the Jericho fans who are trying to save their show. Boy, does this bring back memories of our own campaign to save The Invisible Man. “You got our attention; your emails and collective voice have been heard,” Tassler wrote, and seven episodes have been ordered for midseason 2007-08. “In success, there is the potential for more. 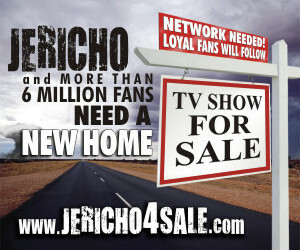 But, for there to be more `Jericho,’ we will need more viewers.” Fans must do their part to rally interest while the network does its job, she said. This is the point where most fan campaigns tend to falter. The fans are tired from campaigning and overjoyed that they got their show back, but they fail to realize that now the real work has to begin. Nina was right. (And this applies to any in-danger show, not just Jericho.) In order for the show to survive, it needs more viewers. The fans have to aggressively market the show…and this is much, much harder. While before they were targeting only a few specific entertainment executives, suddenly their target becomes much wider and, thus, much more of a challenge. Fans have to start thinking like marketers and publicists. I remember in the days of our own campaign when Farscape was first cancelled. We had gone to their bboards months before their show was cancelled and had warned them that what happened to I-Man could very well happen to them. We didn’t do it to be malicious, not at all, but to make them aware that they should start working to get their show’s ratings up. Boy, let me tell you, if you ever want to get a bunch of fans angry at you, go to their bboards and tell them their show might be cancelled. Yeah, that works real well. As you can imagine, nobody listened to us. Farscape was the number one show on Sci Fi at the time and they didn’t think it would happen to them. But, hey, I-Man was the number two show on the same network and the only TV show that was growing in syndication at the time it was cancelled. So cancellation can happen even to a show that appears to be in a good position. I’m not telling this story to put down Farscape fans…no, just the opposite. When their show was cancelled we had Farscape fans coming to us asking for our advice. What did we tell them? To go market the show. And market they did. They put on one of the most aggressive and sophisticated fan campaigns I have ever seen. Because of their efforts they were able to get a mini-series and now they have a webisode series too. My hat off to them. So what’s the point that I’m trying to make here? Well, if you’re the type of fan that loves a show enough that you would spend your resources campaigning for it if it were cancelled, then, my advice is to promote and market it before it gets cancelled. It’s much easier to support your favorite show now while it’s still on the air than to wait until it gets cancelled. Now, if you’re one of the fortunate few who has had your favorite show cancelled but brought back due to your campaign efforts, then be prepared to work even harder. As I mentioned above, your target has now become even wider and that’s going to make your mission considerably more challenging. You need to get more eyeballs and you need to get those ratings up. If the ratings don’t go up, then you’re going to find yourself in the difficult position that the Jericho fans currently find themselves in…campaigning to network executives yet again to try to save their show. I wish the Jericho fans all the best with their efforts. I like Jericho. I think it’s a smart, well-written show with an interesting premise and I would like to see it continue. As someone who has “been there and done that” with regard to fan campaigns, I can totally sympathize with their plight and efforts. But as someone who is making the journey from fan to entertainment professional, I won’t be joining their campaign. I love quality entertainment and I think my efforts to bring quality entertainment to audiences are better served from within the industry…starting with our own I-Man cast, of course. But if you love Jericho and the spirit moves you to want to help out their campaign, by all means go over to http://bringjerichoback.com and give them a hand. I’m sure they will appreciate it. 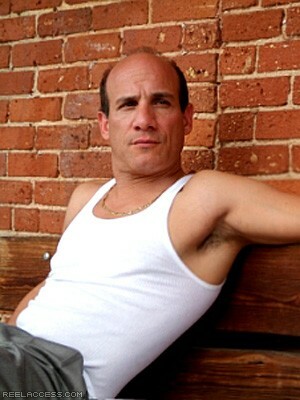 If you were looking forward to the premiere of Paul Ben-Victor’s new series In Plain Sight tomorrow night, well, you’re going to have to wait a little longer. The premiere date has been pushed back to Sunday, June 1, 2008, at 10:00 p.m./9:00 p.m. Central on USA. Paul plays the role of Stan McQueen in this series. You can read about his character on his character profile page. Personally, I found Paul’s bio page to be a much more interesting read…lot’s of great info and tidbits. In mentioning Paul’s past achievements, USA mentions Invisible Man. But what I didn’t know about was the award Paul received for his role of Bobby Hobbes in the series. When did that happen? Am I the only one who didn’t know about this? Ben-Victor also starred as Special Agent Bobby Hobbes in the international hit series “The Invisible Man,” a role that earned him a Best Supporting Actor Audience Award for Sci Fi. Paul’s production company, American Independent Pictures, will produce its first feature film, Should’ve Been Romeo. He co-wrote and will star in the film along with Natasha Henstridge and Michael Rapaport.